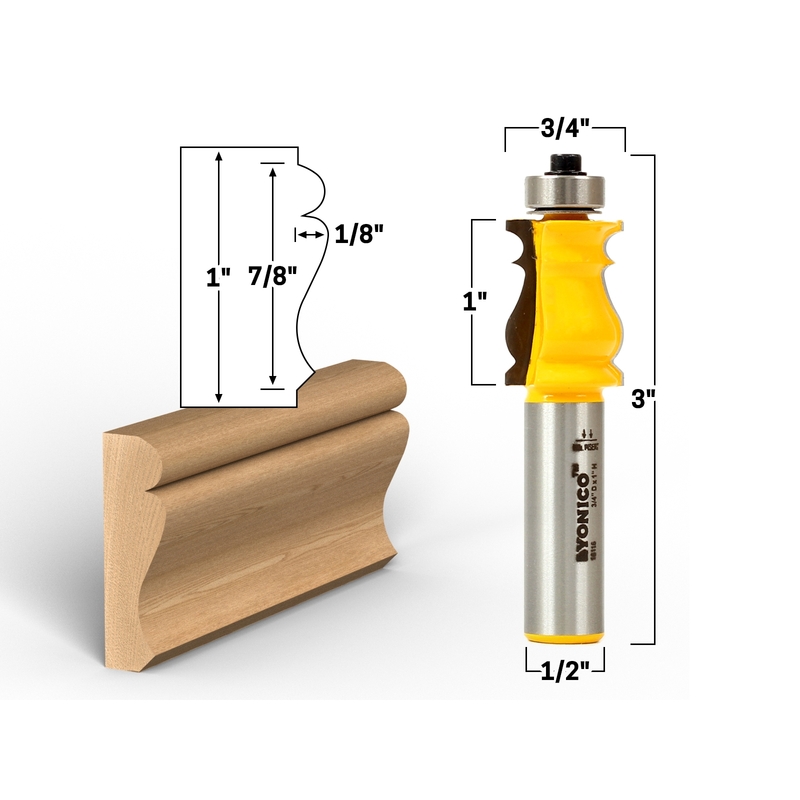 This picture frame router bit cuts a 7/8" high profile at 1/8" deep. To be used on its own or together other similar Yonico picture frame router bits to create some unique compound designs. The overall length is 3" and the shank is 1/2".